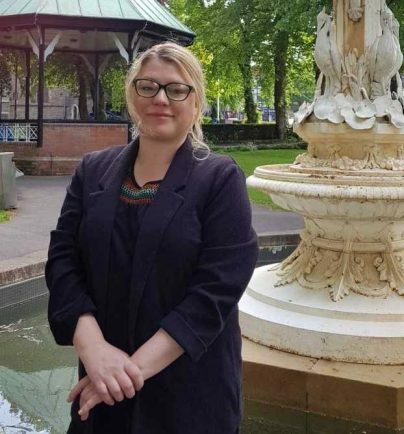 Standing up for Redditch: Rebecca Jenkins. REDDITCH Labour Party have selected local teacher Rebecca Jenkins to be their candidate in the next General Election. A history teacher at a secondary school, she grew up in Oakenshaw and currently lives in nearby Studley. Her selection comes as the possibility looms of the country going to the polls in the autumn over the Brexit deal. The Conservative Government has been riven by divisions over whether the UK should have a ‘hard’ or ‘soft’ Brexit, whether there should be another referendum on the final Brexit deal and the difficulty of sorting out the Irish border question. With the divorce from the EU scheduled for March 2019, Prime Minister Theresa May’s divided Cabinet has less than nine months to come up with a solution. This could all lead to a high stakes General Election this autumn. Joe Baker, Secretary of Redditch Labour Party, said: “This Government is falling apart over Brexit, they can’t agree on anything. Rebecca Jenkins said: “As a school teacher I see first hand how austerity has affected schools and the impact upon children and families who have had Free School Meals cut – and the increasing use of foodbanks. “Insecurity of people’s work and the disastrous roll out of Universal Credit, lack of quality homes people can afford are all important issues for me. On Brexit she said: “Personally, I voted Remain, but I respect the decision of the British people and what I would like to do is heal the divisions caused by the Brexit vote.